Making the chicken macaroni soup made me wonder if I have shared my method of boiling eggs. It turns out I have not, so here it is! Boiling eggs may look easy, but how do you know when it's already cooked when it's in the shell? I have learned early on (in grade school in fact as part of a puzzle) that if you'd like to know if the egg is cooked or not, place it on a flat surface and spin it. If it spins fast, then you're looking at a hard-boiled egg. It is wobbles about, then it's uncooked. It's the cooking that's more of a puzzle, actually. Fresh eggs are also not good for boiling. Eggs that are 3-4 days old are better. Also, "boiling" is not really good for eggs as it makes the egg rubbery. First, get the eggs from the ref then let it sit for about half an hour to adjust to room temperature. Doing this will reduce the shock of a sudden temperature change, resulting in cracked eggs. If you are in a hurry, a couple of minutes in warm water should suffice. Place the eggs in a pot that's just right for them. 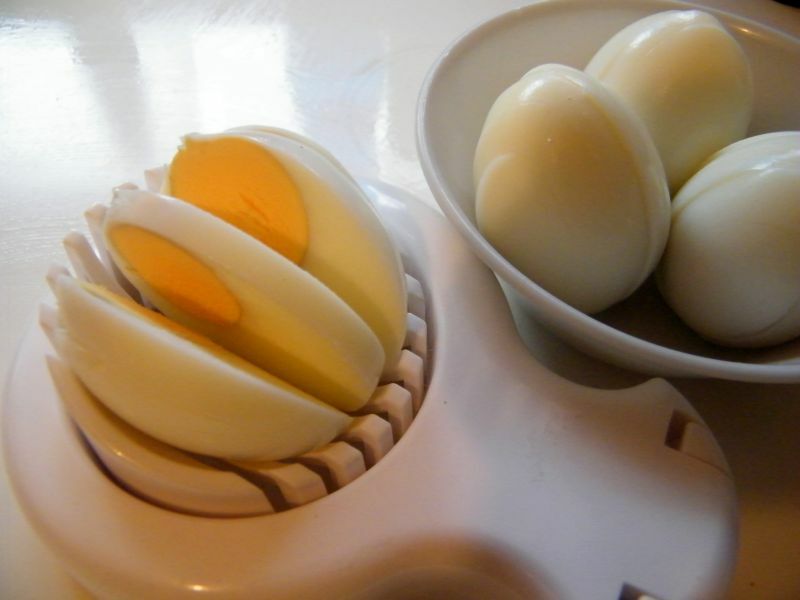 The eggs should not have a lot of space to more around or else it will cause them to jump around when the water reaches boiling point and can cause cracks. The eggs should be in one layer only to ensure uniform cooking. Fill the pot with water, enough to fully submerge them. Cover the pot then turn on the heat at medium to medium-high. When the water starts it rolling boil, remove the pot from the heat then let the eggs cook in the water. A small to medium sized egg (size 6-7) will take 4-5 minutes to cook (don't sweat it if you miss the 4-minute timer). Not sure about the bigger-sized eggs as we do not buy those. Remove eggs from the water and place in a bowl of cold water. When sufficiently cool, crack and remove the eggshells and use as wanted. Done! Mystery solved! Hard-boiled eggs in the shell can last in the ref for a week. It is not advisable to store eggs that have been cracked already due to risk of contamination.